This modern apartment is located in the Barceloneta neighbourhood of Barcelona, just a few minutes from the beach. In this area you will find a number of great bars, cafés and restaurants, as well as supermarkets and many other amenities for your convenience. The metro station is just a short walk away, and there are a number of bus routes in this area, meaning you´ll be well connected to everything in Barcelona. The apartment itself is stylish throughout and can sleep up to 2 guests with 1 bedroom and 1 bathroom. There is a fully equipped kitchen allowing you to prepare your favourite meals in the comfort of this lovely apartment. There is also an Internet connection and a washing machine in this apartment for total convenience. 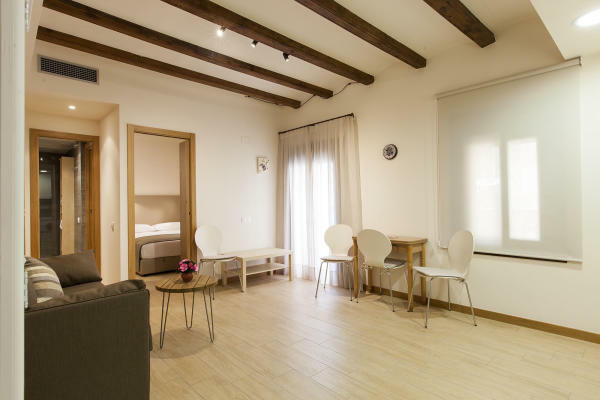 Complete with air conditioning and heaters, this apartment is the perfect home in Barcelona all year round.